A public campaign to stop Israel's plan to demolish an Arab Bedouin village in order to build a Jewish town over its ruins. With the support of the Bedouin citizens of Umm al-Hiran, and our partners in Israel and abroad, Adalah is launching a public campaign to raise awareness of the village’s struggle and demand the cancellation of the demolition and eviction orders against the residents. Adalah invites all people to explore and share our resources and information about Umm al-Hiran; engage in social media with the hashtag #Save_UmAlHiran; contact Adalah for tours and visits to the village; make a donation to the campaign; and to mobilize public calls and actions to pressure the Israeli government to end its discriminatory plan. Stay tuned to our page and our Facebook/Twitter pages in the coming weeks and months as we share news and updates, invitations to public events, and new campaign materials. Join us as we fight to #Save_UmAlHiran. 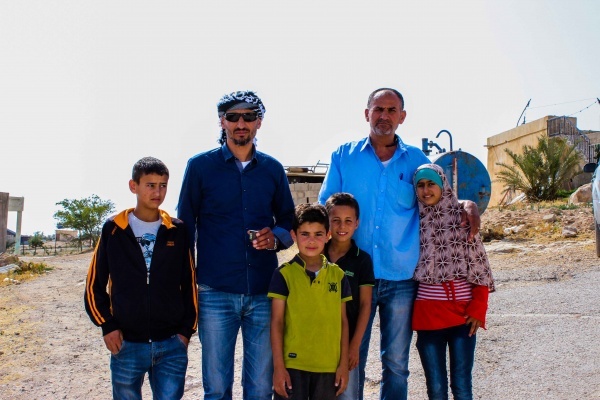 Report, "Nomads Against Their Will: The Example of Atir-Umm al-Hiran"